PHYT’S active organic is a 100% natural skincare range for face and body. Products are all made in France at their laboratories in the Le Lot region of France, in Caillac. The entire range of PHYT’S (over 300 products!) is certified to be natural skincare and using organic agriculture whenever possible. The BIO stamp of Cosmebio is certified by an official French certification organisation, Ecocert, which guarantees a natural cosmetic containing ingredients resulting from organic agriculture and complying with strict rules aimed at protecting the consumer and the environment. 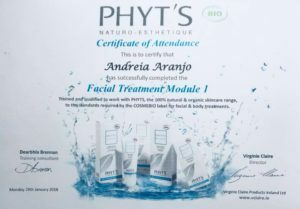 PHYT’S natural skincare guarantee all professional and retail products of 100% natural origin. 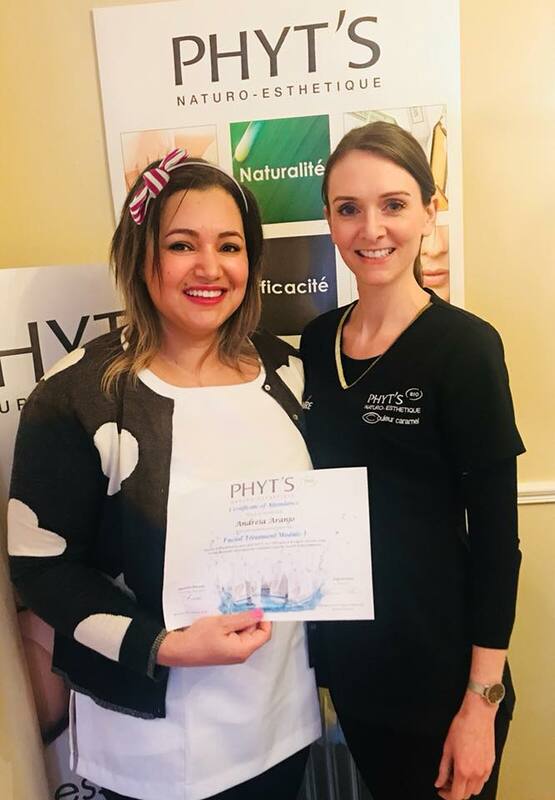 By maintaining all products as 100% natural (no synthetic preservation or chemical processing ever), PHYT’S products are superior to the specification of the Cosmebio standard. Not harmful to humans or the environment. 4 kinds of natural raw materials. Vegetal, Marine, Mineral, Beeswax (only in several products; avoidable if vegan). Active ingredients for visible results. Individual certification for each product. PHYT’S, over 300 products certified.